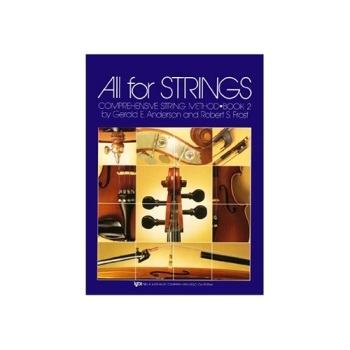 All For Strings is a comprehensive three-volume method surrounded by a wealth of supplementary materials for teaching and performance. This is a Cello Edition, Book 2. This complete curriculum covers virtually every aspect of beginning through intermediate string study, emphasizing technical skills, rhythmic understanding, and quality musical experiences. Many of the National Standards for Music Education can be easily implemented into the classroom setting with the varied components All For Strings has to offer.